Eskapism are a duo from Ukraine that plays an atmospheric form of black metal and this is a review of their 2017 album "Tales Of Elder Forest" which will be released on cassette in August by Folkvangr Records. Atmospheric sounding synths start off the album and after the intro they also start mixing in with the heavier sections of the music which also introduces grim yet high pitched black metal screams and melodic guitar leads onto the recording and acoustic guitars are also used at times. When the music speeds up a great amount of blast beats and tremolo picking can be heard which also gives the music a more raw feeling along with all of the musical instruments sounding very powerful and the songs also bring in a great mixture of slow, mid paced and fast parts. Angry shouts are also used briefly while the riffs also bring in a decent amount of melody and most of the tracks are very long and epic in length along with one track being an instrumental that also introduces acoustic guitars onto the recording and the album closes with a cover of Coldworld's "Tortured By Solitude". 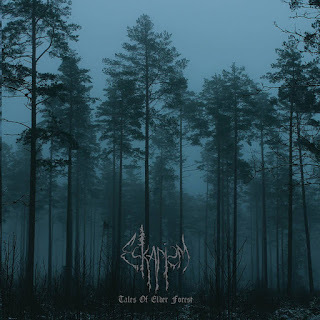 Eskapism plays a style of atmospheric black metal that is very synth orientated while also having its raw moments, the production sounds very powerful while the lyrics are written in Ukrainian and cover nature and poetry themes. 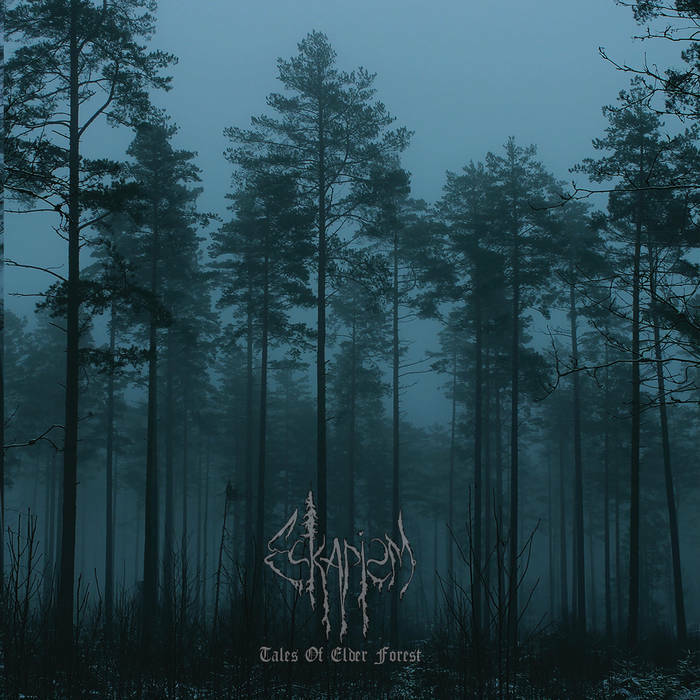 In my opinion Eskapism are a very great sounding atmospheric black metal duo and if you are a fan of t his musical genre, you should check out this cassette. RECOMMENDED TRACKS INCLUDE "And You Speak The Runes" "Have Forgotten Forests" and "Tortured By Solitude". 8 out of 10.